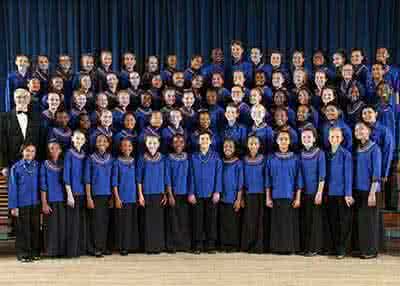 Hendrik D Loock lays down his baton after 46 years as leader of the highly acclaimed Tygerberg Children`s Choir. The choir, supported by well known past choristers bring tribute to the maestro in a once-off concert never to be forgotten. Box office for ticket sales and collections opens 1 hour before start of show. Please collect your tickets at any Computicket store or at any Shoprite, Checkers, Checkers Hyper, House and Home or at selected OK Furniture and Usave stores. Credit cards used to make the booking must be presented when collecting the tickets. Tickets may not be collected by a third party. The card used to make the booking must be presented when collecting tickets. Patrons need to present a passport or ID document at the collection point. Artscape Theatre Centre, 1-10 D F Malan Street, Foreshore, Cape Town. Open 1 hour before show starts. Disabled seats are in Row Y seats 1 - 2 & 51 - 52. Limited facilities for wheelchairs are available in the Opera House and Theatre in accordance with safety regulations. Wheelchair seats can be booked at the ARTSCAPE Box Office (021 421 7695), at any Computicket outlet, or through the Computicket call centre (0861 915 8000). Please note that the Arena is not wheelchair friendly. Toilets for wheelchair-bound patrons are situated in the Marble and Chandelier Foyers of the Opera House and on the lower level of the Theatre Foyer. Patrons must please note that under no circumstances does the theatre allow babies in arms, children on laps or children under 5 at evening performances. A full bar service and light refreshments are also available in the foyers from one hour prior to performances and during intervals. The Arts Cafe Restaurant will be open for dinner prior to performance, contact 021 410 9852 for bookings. Row A is flat seating (when applicable). Row B onwards are all elevated seating.